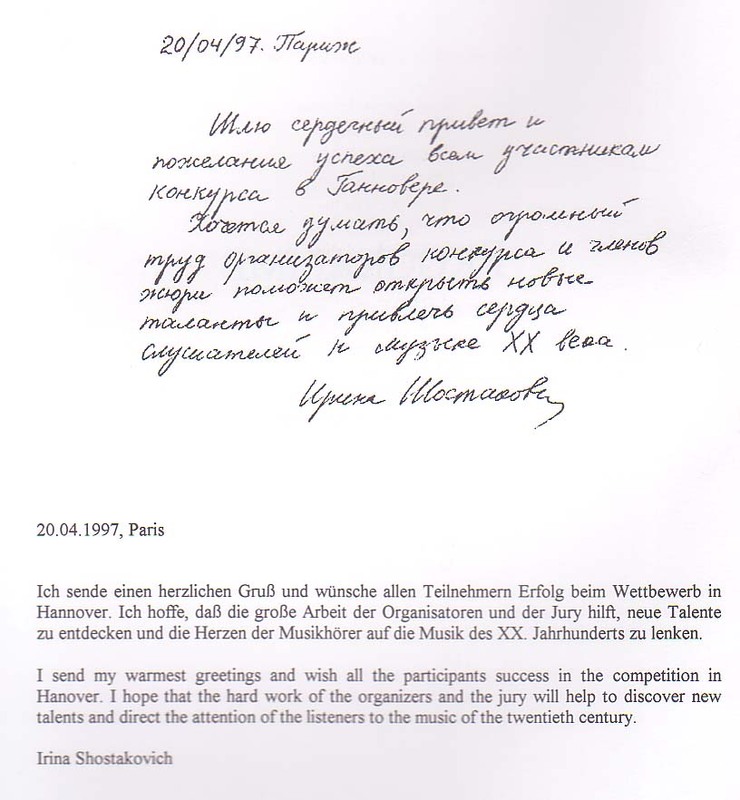 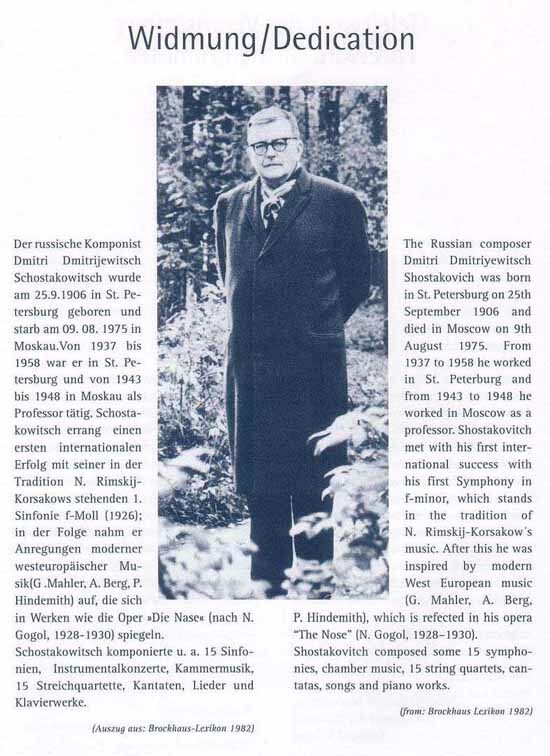 The first (and so far last) Classica Nova competition was held in Hannover, Germany in May of 1997 and was devoted to Dmitry Shostakovich, one of Russia's greatest composers. 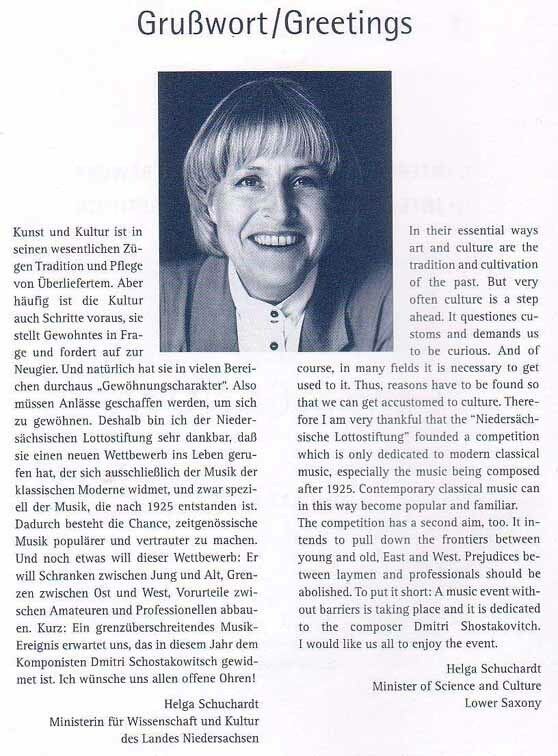 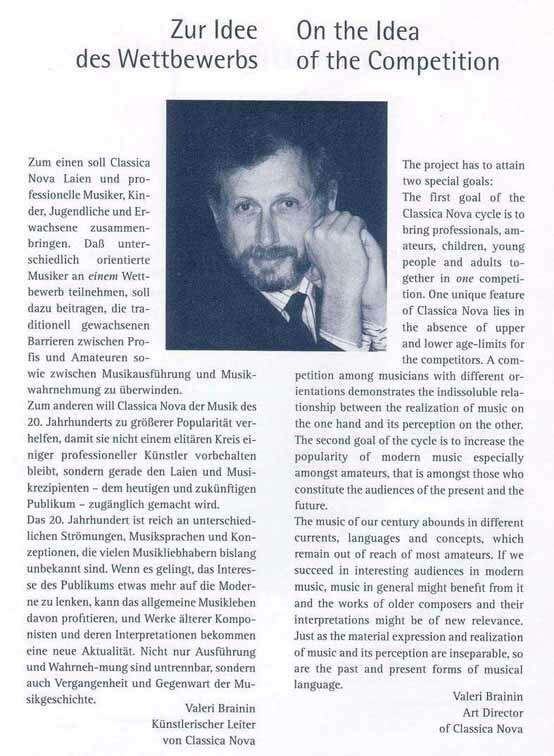 The aim of the competition cycle is to popularize classical music of the twentieth century. 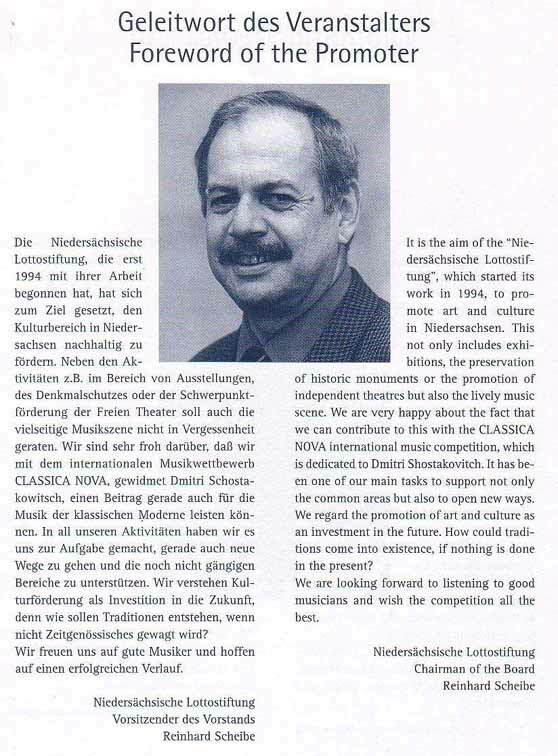 As of now, sufficient funding is lacking to put together subsequent competition events. 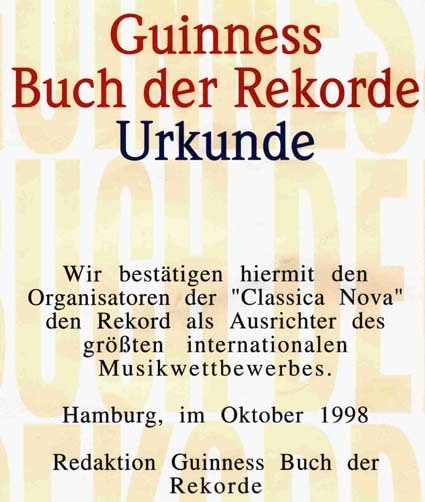 Feel free to contact Secretary of Classica Nova with any questions pertaining to this great and as of yet unfulfilled competition cycle.